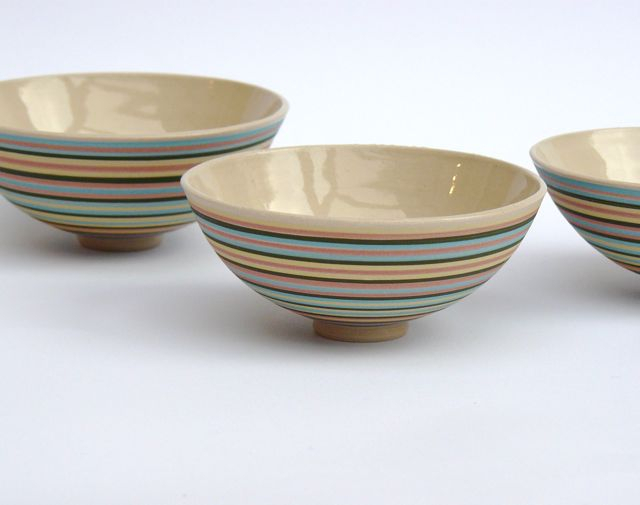 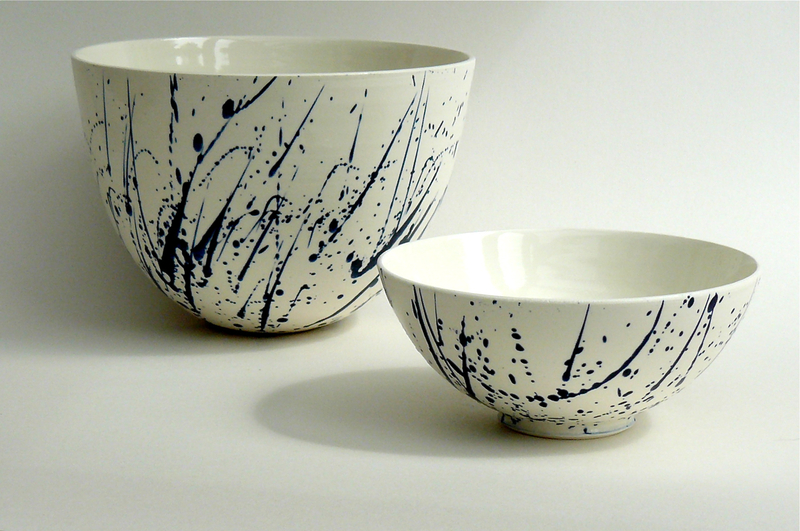 Abigail makes finely thrown porcelain and stoneware vessels which are carefully decorated by hand with a range of coloured slips, and then glazed with a transparent glaze. 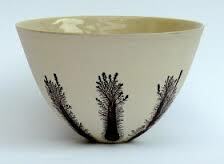 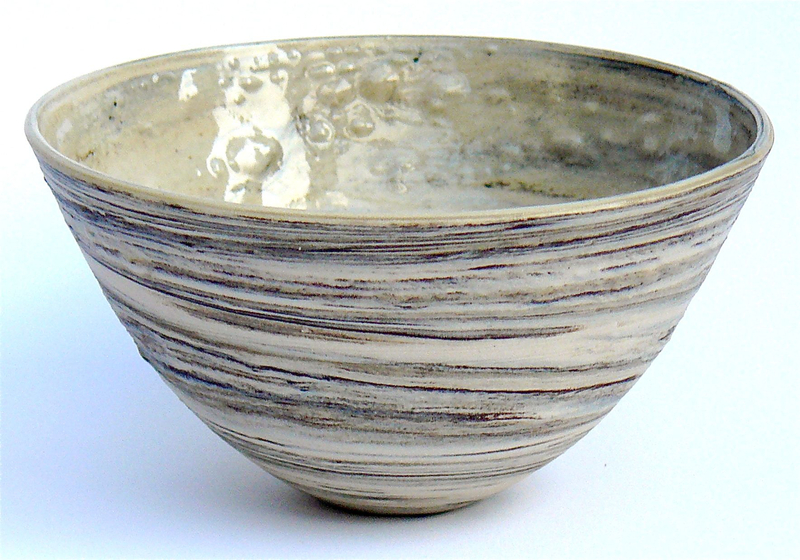 In her studio adjacent to the moor, surrounded by beautiful ferns and lichen, the most recent project comprises of a series of bowls and vases with a delicate fern decoration, a modern reworking of the traditional mocha-ware decorating technique. 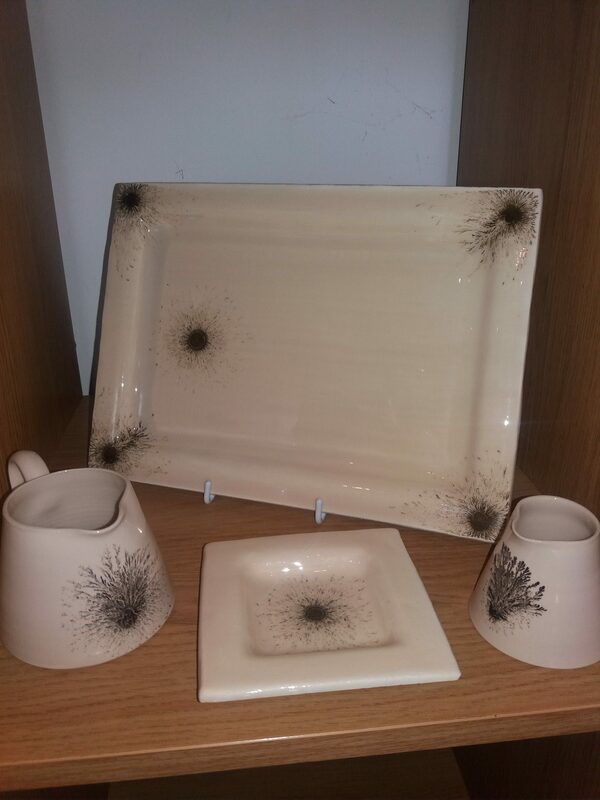 All work is decorated and then biscuit fired before it is glazed and then high fired in an electric kiln.